Due to a dispute in which competition rules in our view are being violated, our drop boxes at Schiphol Airport are (temporarily) unavailable. 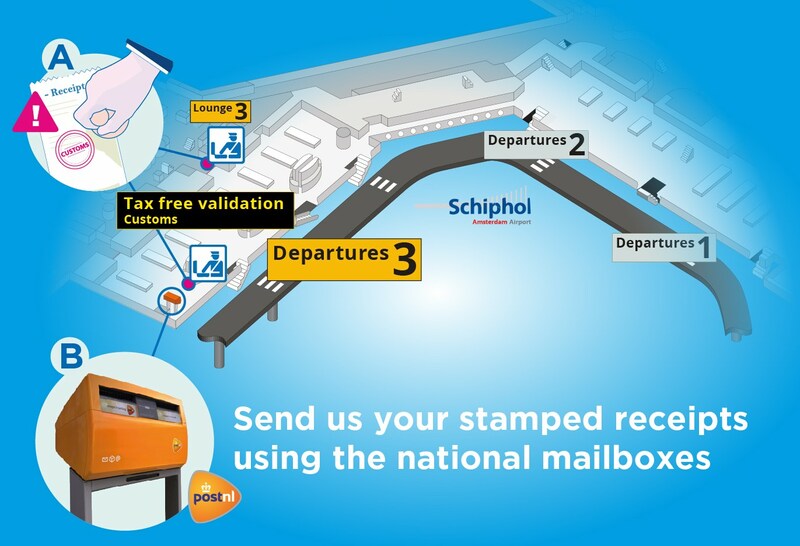 Please use the (orange) national mailboxes to send us your original stamped receipts or send them from home. You also can use the postage-free enveloppe provided by our partner stores. To keep track of your refund process make sure to register your receipts here or with our mobile app.